A rare celestial event will take place on Monday, August 21 while the Sun, Moon and Earth will be aligned. The Moon will pass between the Sun and us and will mask the light of our star. The phenomenon will be visible throughout North America; the eclipse will be total along a thin strip across the United States, from Oregon to South Carolina, and partial everywhere else. In Montréal, the eclipse will start at 13:22PM and reach its maximum at 14:38PM, while 58% of the Sun’s surface will be obscured by the Moon. The phenomenon will end at 15:50PM. Join us at Université de Montréal, with the astronomers of the Center of research in astrophysics of Quebec (CRAQ) and the Institute for research on exoplanets (iREx). The viewing will take place on the terrace of the Louis-Colin parking at UdeM, starting at 1PM. Glasses to observe the phenomenon safely will be distributed (in limited quantities). Astronomers will be available to answer your questions. In addition, images taken in the zone where the eclipse is total will be broadcasted live in room Z-110 of the Claire-McNicoll Pavilion. Come and take advantage of our exceptional point of view and share the experience with the university community. Locate the Louis-Colin parking lot (#24) and the Claire-McNicoll Building(#15) on the UdeM campus map. 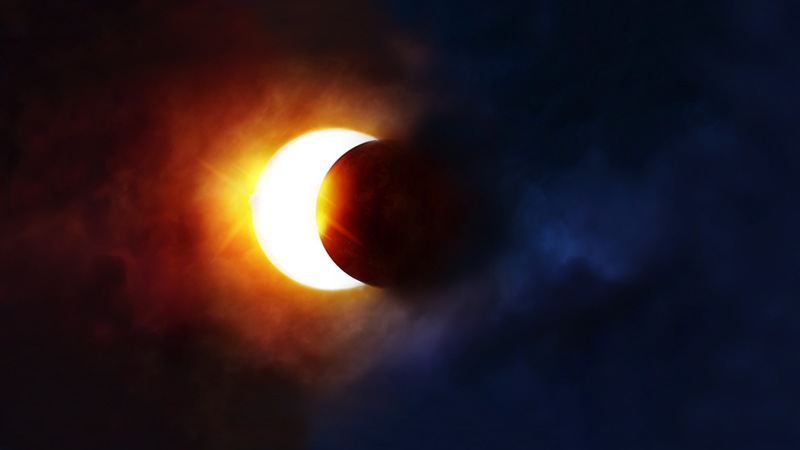 Learn more about the eclipse on the Discover the Universe website. You can also see the Planetarium Rio Tinto Alcan website for observation advice on the eclipse. ← Contest: Win an observation night at Observatoire du Mont-Mégantic!